After years of following her navy officer husband on assignment around the world with their three children, Grace Bennett realizes that she’s left something behind - herself. Steve Bennett can’t understand the unraveling of his wife’s heart. 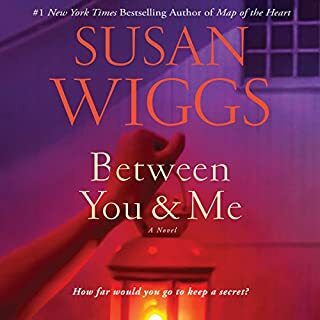 He wants to set things right, but when a secret from his past is revealed just as he’s sent out to sea, their already-strained relationship is pushed to the edge. Now, with plenty of space to ponder the true distance between them, Grace begins to reinvent herself. Just as her new self is coming to terms with her family life, the unthinkable happens. 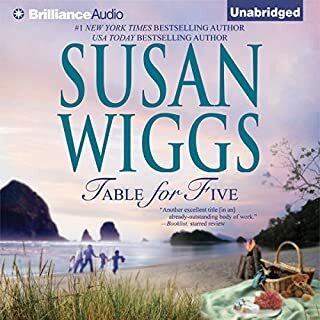 A disaster aboard Steve’s ship shatters Grace’s world and all she can do is gather her children around and wait for news to come, good or bad. A navy wife’s worst nightmare collides with the cold truth that life’s biggest chances can slip away while you’re busy looking for guarantees. 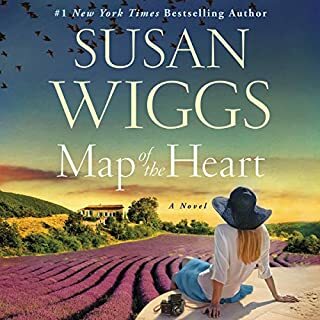 With sensitivity and insight, number-one New York Times best-selling author Susan Wiggs explores the emotional rewards and sacrifices of love and marriage in this sweeping novel. 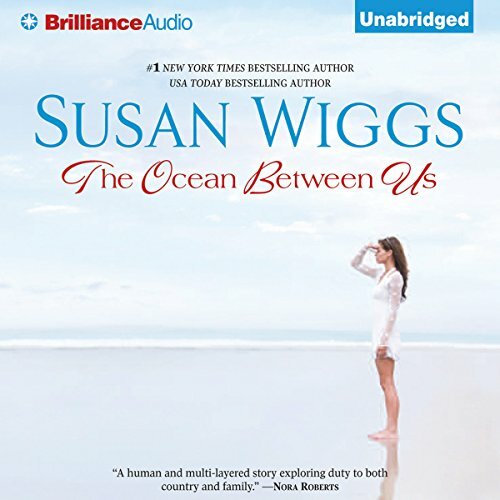 ©2013 Susan Wigg (P)2013 Brilliance Audio, Inc.
Would you listen to The Ocean Between Us again? Why? Yes! I will wait awhile, but I will go back and re-listen to this. There were many fabulous moments! I loved the idea of the story. Many stories are written about military MEN, but I think this was an honest portrayal of the families behind the men and I found the story gripping. Emma was my favorite very believable throughout, and so much like her father...even though no one seemed to notice. There were several places, especially near the end of the book that I actually had tears in my eyes. If you like to Weep while your Read! If you like tales of family drama and love stories this is for you. If you like to weep while you read... this is for you too. 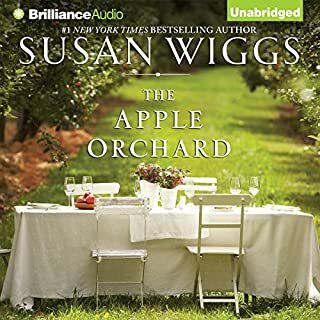 Its the perfect beach read although I listened to it by audible while driving. Although predictable, it didn't deter from evoking emotion. loved the story and getting to know military family trials and tribulations better. Quite a tear jerker and I normally am not a drier...happy tears. 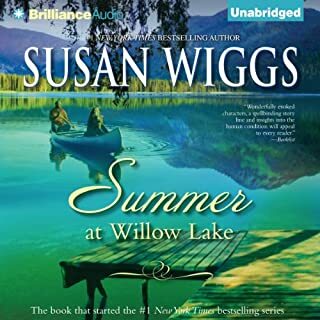 While looking for the latest and last of the willow lake books I found this one. How could I have missed it? 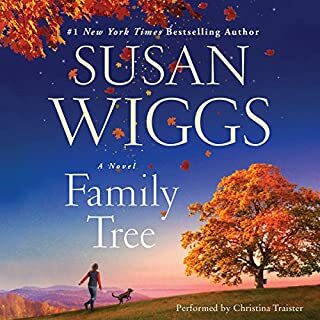 Ms. Wiggs gives us a glimpse of what it is like to be the family of a naval officer and how the spouses of our brave naval men and women can get lost in the shuffle f2f left of deployments and constant moves. This family has to be brave and flexible and manages well during the hardships of the life of a serviceman. Wow. Read this but you will cry at times. Tears and smiles. Hard to put down. Wasn't predictable and I like that in a book! Hope there is another one to follow. I liked this story - the plot and characters were very good, though did not measure up to The Beekeepers Ball by the same author. The background of navy life - for the wife who is continually left behind was really good. Also twists in the plot were equally good. The narration was ok except for the female imitating the male voices which nearly drove me to distraction...made the male characters take on a stodgy quality - they were supposed to be virile, handsome, well built and muscular and a hard time believing that with the quality of the voice. It would have come across better with a normal female tone than the one used. Yes - very moving story and realistic. If you could take any character from The Ocean Between Us out to dinner, who would it be and why? Have read and listened to this story multiple times. Enjoy this family and heartfelt story.